Friday 28th February 2014 – 4.00pm – Claire Brown. A three car collision in a Staffordshire town this afternoon caused traffic problems in the area but, fortunately, no one was seriously injured. West Midlands Ambulance Service was called to Bridge Cross Road, near to Chase Terrace Technology College, in Burntwood at around 12.30pm today (Friday). An ambulance and a paramedic area support officer attended the scene. A West Midlands Ambulance Service spokeswoman said: “Three cars had reportedly been in a low speed collision outside the college. “The driver of one car, a 17 year-old-girl, was assessed by crews and was found to be suffering from back pain. Ambulance crews worked with the fire service to extricate her from the car. The girl was immobilised with a neck collar and spinal board before being taken by ambulance to Stafford Hospital. “The other occupants from the vehicles were assessed at the scene but did not require hospital treatment. Careful on the roads tonight and in the morning. 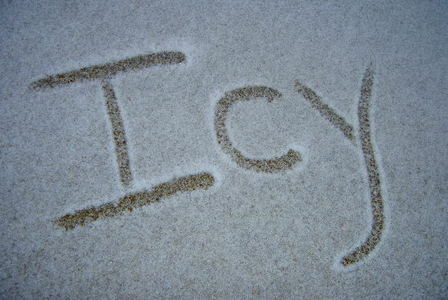 Watch out for frost and ice. Friday 28th February 2014 – 1.30pm – Chris Kowalik. Passing ambulance service staff, including a pregnant paramedic on light duties, were among those who stopped to help at a collision on one of Birmingham’s busiest road junctions. The collision in Bristol Road, Edgbaston involving a minibus and a car resulted in significant traffic delays in the area. West Midlands Ambulance Service was called at 10.15am. 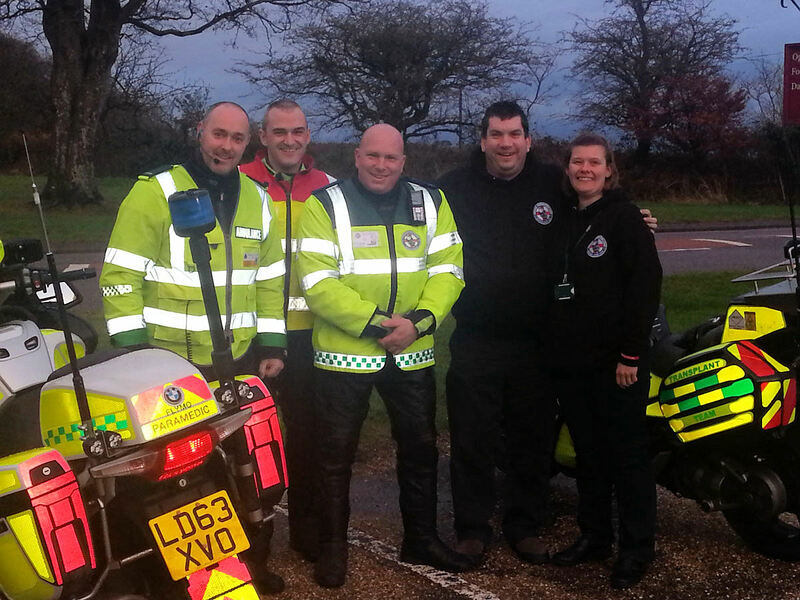 The first resource to arrive was motorbike paramedic Mark Hayes of TV’s “Emergency Bikers”. He was joined by a senior paramedic officer who was passing at the time. Also passing was a pregnant paramedic on light duties on a vehicle delivery with an ambulance fleet assistant. Also assigned to the case were a paramedic area support officer, two ambulance crews and a BASICS emergency nurse. Police and the fire service also attended. A West Midlands Ambulance Service spokesman said: “A minibus carrying six people including the driver and a car had collided. “The lone car driver, a man in his sixties, had neck, back, chest and leg pain. He also had a suspected broken leg. Due to the nature of the suspected injuries, the roof of the car was cut away by the fire service in order for him to be safely removed. 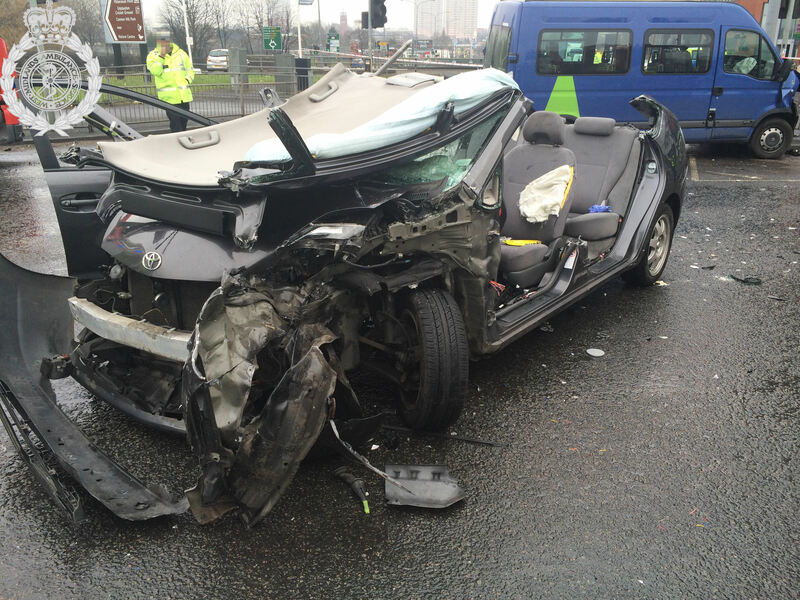 He was given pain relief at the scene and was immobilised before being taken to Queen Elizabeth Hospital Birmingham. “A man who was one of the passengers on the minibus was taken to the same hospital for precautionary checks. None of the other passengers were injured. Thursday 27th February 2014 – 3.00pm – Claire Brown. A security guard has received emergency treatment by the ambulance service before being airlifted to a major trauma centre following an incident in Kidderminster earlier today. West Midlands Ambulance Service received a 999 call to reports of an unconscious man in a car park near Marks and Spencer at Weavers Wharf Shopping Centre in Kidderminster Town Centre just after 11.00am this morning (Thursday). An ambulance, a local community first responder, a responder paramedic and the Midlands Air Ambulance from Cosford with a MERIT trauma doctor on board attended the scene. A West Midlands Ambulance Service spokeswoman said: “The man, a security guard believed to be in his 50s, was found unconscious, fitting and had sustained an injury to his head. “Ambulance staff immediately worked to assess and stabilise the man’s condition, administering drugs to help control his recurring fits before being immobilised onto a spinal board. An ambulance quickly transferred the man to the awaiting helicopter, which had landed in a nearby field, before being airlifted to Queen Elizabeth Hospital Birmingham; a major trauma centre. Thursday 27th February 2014 – 2.15pm – Claire Brown. A woman has escaped serious injury after her car was in collision with an articulated lorry in Kidderminster earlier today. West Midlands Ambulance Service was called to the A456 Park Butts Ringway just after 10.00am this morning (Thursday). An ambulance, a paramedic area support officer and a senior paramedic officer attended the scene. A West Midlands Ambulance Service spokeswoman said: “The woman’s car had suffered extensive damage after being in collision with a lorry. The 53 year old woman and soul occupant of the car suffered neck and shoulder injuries. “The three paramedics and technician worked with the fire service to carefully extricate her from the car and onto a spinal board to keep her fully immobilised. The woman, who was also suffering from the effects of shock, was taken to Worcestershire Royal Hospital. Thursday 27th February 2014 – 12.10pm – Claire Brown. A woman and four children have received treatment by ambulance personnel before being taken to A&E following a three car crash in Tettenhall this morning. 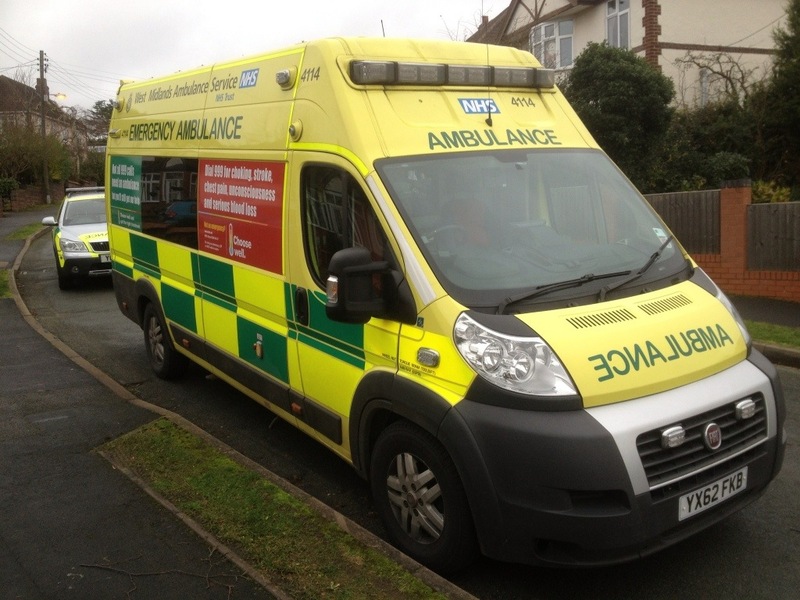 West Midlands Ambulance Service was called to Codsall Road at around 8.50am earlier today (Thursday). Three ambulances and a paramedic area support officer attended the scene. A West Midlands Ambulance Service spokeswoman said: “Crews arrived to find three cars which had been involved in a collision. “The driver of one car, a woman in her 30s, sustained neck pain and a suspected pelvic injury in the collision and needed extricating from the car with help from the fire service. The woman was given pain relief and immobilised with a neck collar, spinal board and pelvic splint before being taken to New Cross Hospital by ambulance. Her baby, who suffered no apparent injuries, was also taken to the same hospital as a precaution. Wednesday 26th February 2014 – 4.30pm – Claire Brown. “It was lucky no one was in the living room”. These were the words of Paramedic Area Support Officer, Kevin Errington, after a car ended up crashing through a cottage wall in a Market Drayton village this afternoon. West Midlands Ambulance Service received a 999 call to reports of a car which had collided with a property in London Road, Knighton at 2.30pm (Wednesday). A local community first responder, an ambulance and a paramedic area support officer were sent to the scene. 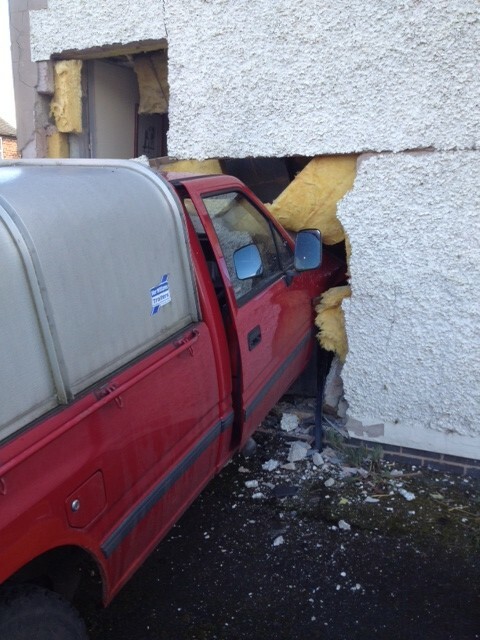 A West Midlands Ambulance Service spokeswoman said: “When crews arrived they found a car which had crashed through the external wall of a cottage and was protruding into the living room. 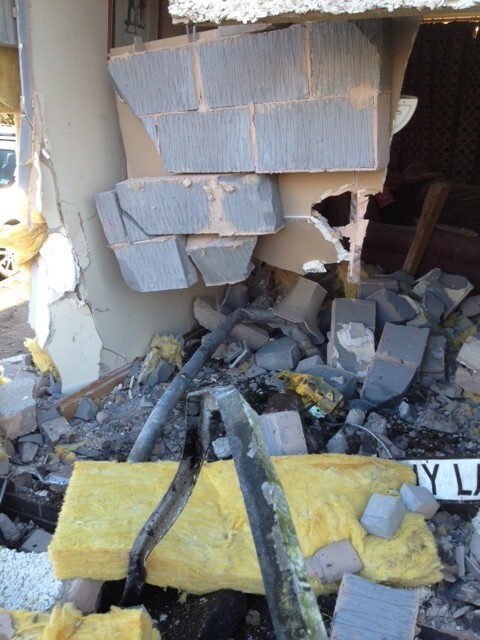 “The occupants of the car, a husband and wife thought to be in their 60s, were out of the vehicle. An assessment by ambulance crews found they were miraculously unhurt though understandably shaken. “The fire service removed the vehicle from the property and the police arranged for builders and a structural engineer to assess the damage. Notes to Editors: Please credit West Midlands Ambulance Service for the photographs. I’m afraid I have no more details regarding this incident. Wednesday 26th February 2014 – 3.15pm – John Hawker. 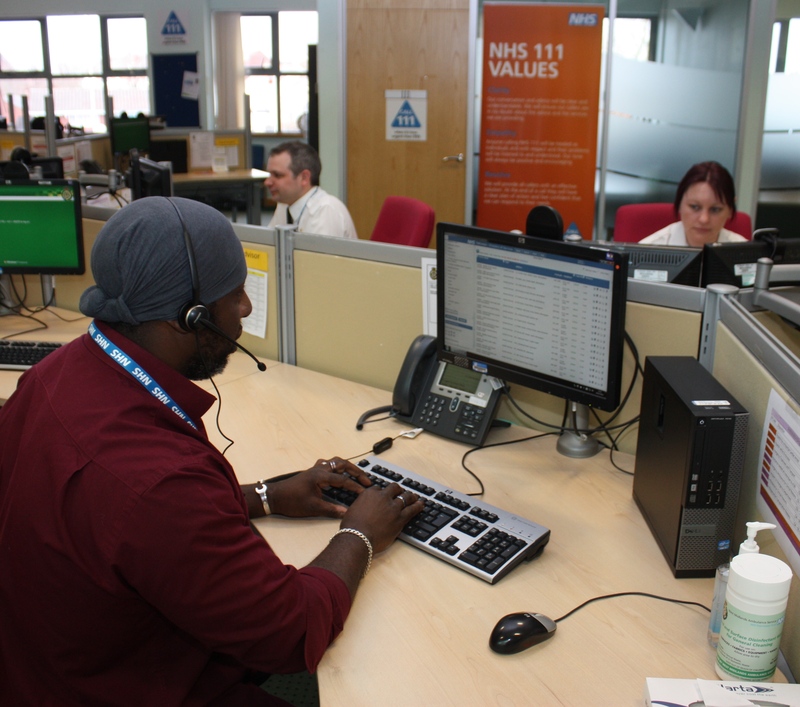 A man from Wolverhampton has been jailed for 12 weeks for making thousands of malicious calls to the NHS 111 medical helpline. Anil Gautan, from Church Road in Bradmore, Wolverhampton, made 5,000 bogus calls between August and November last year. Many of the 28-year-old’s calls were of a sexual nature during which he falsely claimed to be suffering a range of genital complaints. West Midlands Ambulance Service contacted the police and an investigation was launched into the phone calls. Wednesday 26th February 2014 – 2.50pm – Claire Brown. The Trust’s very own Emergency Biker has become a patron for a life-saving blood bike charity in Devon. Birmingham based Paramedic, Mark ‘Flymo’ Hayes, is not only a familiar face to locals in Birmingham but he’s also well known to fellow bikers across the UK after appearing on four series of Channel 5’s Emergency Bikers. Last month, Mark was invited to visit the volunteer bikers of Devon Freewheelers; a charity providing an out of hours emergency response courier service to the NHS, taking vital blood to where it is needed most in their local community. Mark, who lives in Sutton Coldfield, had a chance to see the charities operations centre before taking a gentle ride along some of east Devon’s challenging lanes with a few of the volunteer bikers. Notes to Editor: Photograph courtesy of Devon Freewheelers. For more information about the charity, please visit http://bloodbikes.org/. Tuesday 25th February 2014 – 10.45pm – Claire Brown. A road traffic collision involving three cars has left one man seriously injured and two other people in hospital this evening. Two of the Trust’s ambulance crews, who were transporting patients to hospital, came across the crash on the A53 in Stanton upon Hine Heath in Shropshire shortly after 7.30pm (Tuesday) and immediately called for back-up before rendering aid. Two further ambulances and a paramedic area support officer were sent to the scene. The two additional ambulances to arrive on scene took over the care and transport of the two patients who were already en route to hospital. A West Midlands Ambulance Service spokeswoman said: “The drivers, and sole occupants, of all three cars had been injured in the collision. An 18 year old man, the most seriously injured, and a woman in her 40s were both trapped in the wreckage. “Upon assessment by ambulance crews, the 18 year old was found to have sustained multiple lower leg fractures, a fractured pelvis and suspected internal injuries. He was given intravenous pain relief and fluids before ambulance crews worked with the fire service to carefully extricate him from the car. “Crews fully immobilised the man with a neck collar, spinal board and pelvic splint. Due to the condition of the man and the close proximity of University Hospital North Staffordshire by air, the man was flown to the major trauma centre by police helicopter with a paramedic on board. “The woman sustained a suspected fractured rib and knee pain. She too was extricated by the fire service and immobilised by ambulance crews before being taken to Royal Shrewsbury Hospital. Don’t miss out on having your say! 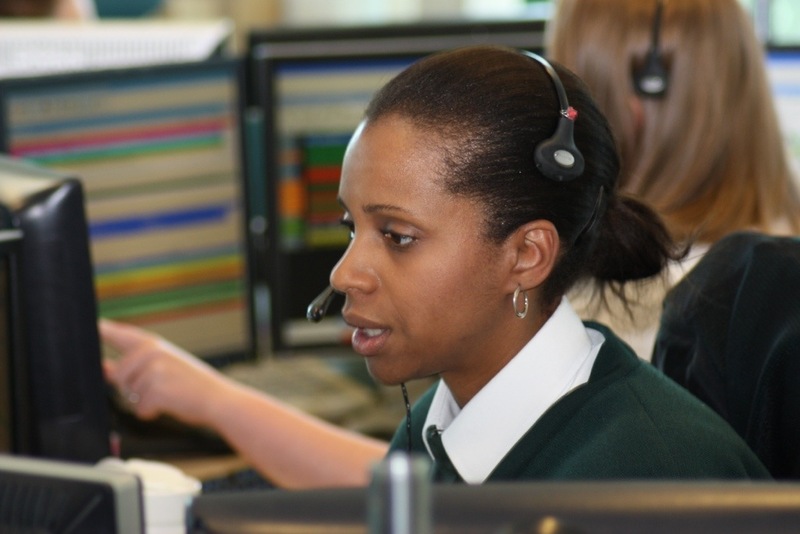 WMAS is appealing to the public for their feedback to help us shape the future of the service. Every year, all NHS organisations are required to produce a Quality Account. These reports assess quality across an entire range of healthcare services and outline an organisation’s commitment to continuous evidence-based quality improvements. The Quality Accounts provide patients, service users and members of the public with information about where improvements will and need to be taken. To help shape the 2014/15 Quality Account, the Trust is currently welcoming feedback from you, about how you think we are doing. 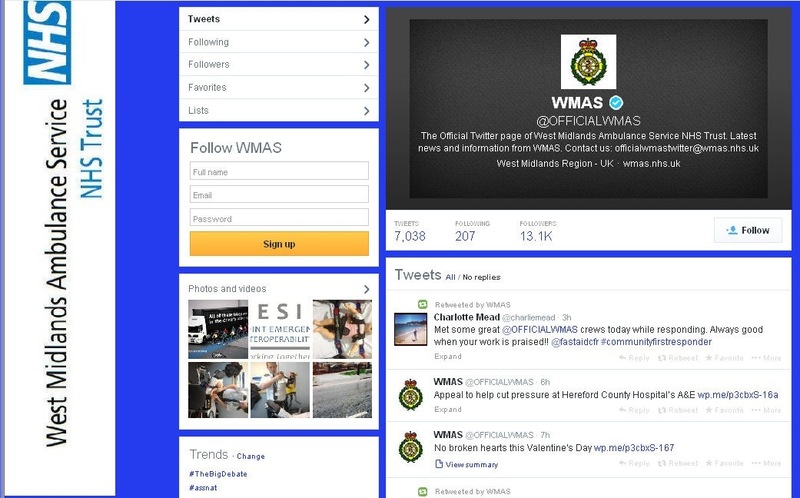 Our 2013/14 Quality Account can be found on our Trust website via http://www.wmas.nhs.uk/Pages/QualityAccounts.aspx. This account should provide readers with the necessary information required to understand what we are doing well, where improvements are required, what our priorities for improvement were last year and how we have involved our service users, staff, and others with an interest in our organisation in determining these priorities for improvement. With the help from your feedback the Trust will be able to focus on our 2014/15 Account, which will also be set in line with our commissioner’s intentions and the NHS Outcomes Framework. Please take this opportunity to give us your views on what a high quality service means to you. You can give your views by emailing quality@wmas.nhs.uk. Please note the consultation ends on 20th March 2014. Tuesday 25th February 2014 – 3.30pm – John Hawker. 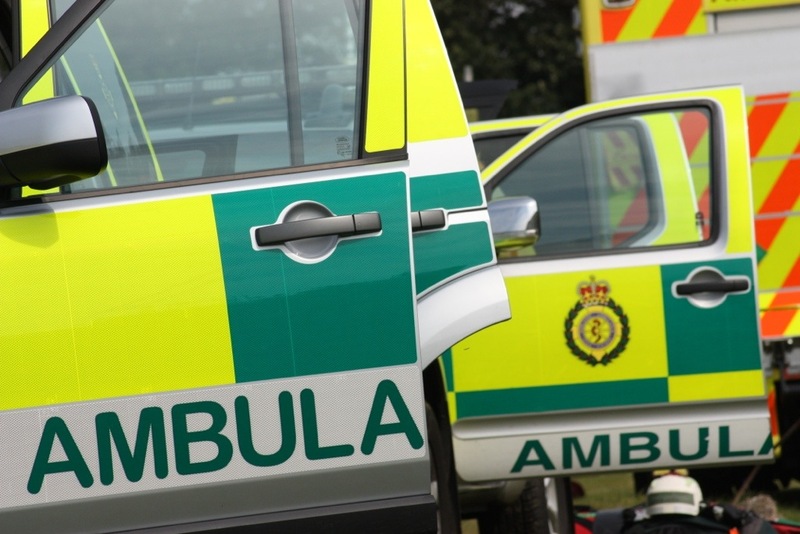 A man has died following an RTC in Kidderminster this morning. The crash occurred on the A449, between the VOSA test centre and the Black bridge at around 11.45am. An ambulance, a rapid response vehicle, two paramedic officers, and the Midlands Air Ambulance from Cosford attended the scene. A West Midlands Ambulance Service spokesman said: “Crews arrived to find a van and a lorry that had been in a serious collision. “The man driving the van suffered multiple serious injuries and was trapped in the vehicle. “Advanced life support was carried out at the scene by medics and resuscitation attempts continued as the patient was airlifted to Queen Elizabeth Hospital Major Trauma Unit where a trauma team were on standby. Tuesday 25th February 2014 – 6.55am – Murray MacGregor. A man has had to be cut free from the wreckage of the car he was driving after a crash in Staffordshire overnight. The crash happened on Levedale Road in Penkridge, just after midnight on Tuesday morning. Two ambulances, a rapid response vehicle, a paramedic officer and the MERIT Trauma doctor were sent to the scene. A West Midlands Ambulance Service spokesman said: “On arrival, crews found a car that had collided with a tree and overturned. “The roof was removed so that the driver, a 24 year old man could be removed safely from the car after suffering from a dislocated hip. He also had a reduced level of consciousness. “He was taken to University Hospital North Staffordshire with the doctor travelling with the crew. “There were two 17 year old women in the car. One had managed to get out before ambulance staff arrived and had a facial injury. Tuesday 25th February 2014 – 6.40am – Murray MacGregor. A moped rider has suffered a nasty leg injury after a crash that left his bike in pieces. The crash happened on Gervase Drive in Dudley at around 8.40pm on Monday evening. An ambulance, a paramedic officer and the MERIT Trauma doctor were sent to the scene. A West Midlands Ambulance Service spokesman said: “On arrival, the ambulance staff found a bike that had suffered very significant damage after a collision with a tree. “The rider was about 10 meters away from the bike when crews arrived and was disorientated. “The man, in his 20s, had suffered a deep gash to his right thigh. After being assessed by the doctor at the scene and having his wound dressed, he was taken to the Queen Elizabeth Hospital in Birmingham where it was expected he might require surgery. Tuesday 25th February 2014 – 6.35am – Murray MacGregor. A motorcyclist has died after a collision with a car in Warwickshire. The crash happened at around 11.15pm on Monday evening on Easenhall Road, Harborough Magna, near Rugby. A rapid response vehicle, an ambulance and a paramedic officer were sent to the scene. A West Midlands Ambulance Service spokesman said: “On arrival, ambulance staff found a car with front end damage and a badly damaged motorcycle. “Unfortunately, it immediately became apparent that there was nothing that they could do to help the motorcyclist and he was confirmed dead at the scene. Monday 24th February 2014 – 12.10pm – Suzie Fothergill. One person has died and two others have been seriously injured in a road traffic collision in Walsall today. West Midlands Ambulance Service was called to Ryle Street in Bloxwich shortly after 8.15am this morning. Three ambulances, a paramedic area support officer in a rapid response vehicle and the Midlands Air Ambulance from Cosford were dispatched to the scene. A West Midlands Ambulance Service spokeswoman said: “On arrival at the scene crews found a car and a coach that had been in collision. “The driver of the car, a woman, was treated for serious multiple injuries. Due to the nature of her injuries, the doctor from the air ambulance gave the woman an anaesthetic at the scene before she was airlifted to the major trauma centre at University Hospital of North Staffordshire. “The front seat passenger, a teenage boy, was treated for pelvic injuries and was taken to the same hospital, via land ambulance, for further assessment and treatment. “The rear seat passenger, a girl, was assessed by ambulance crews at the scene but unfortunately it quickly became apparent that nothing could be done to save her and she was sadly confirmed deceased at the scene. Monday 24th February 2014 – 10.30am – John Hawker. An appeal has been made for new volunteers to become lifesaving Community First Responders (CFRs) in South Warwickshire. 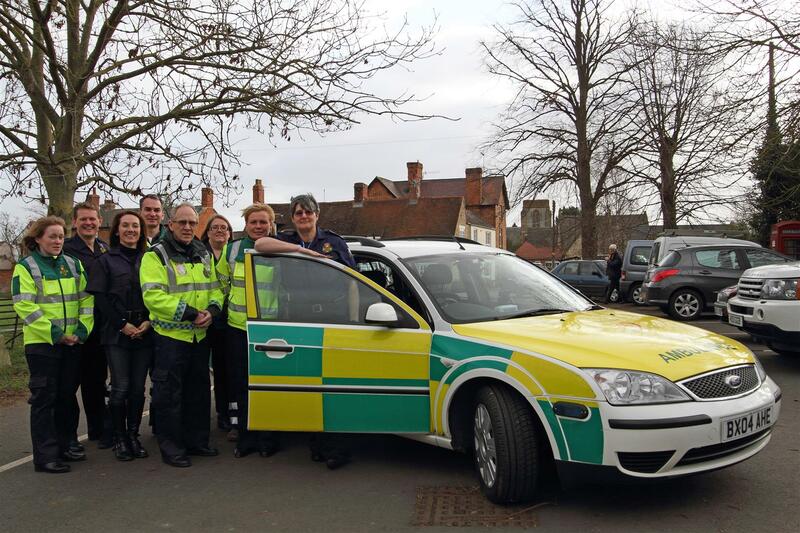 Ettington Community First Responder Scheme is looking to increase the number of First Responders so that it can enhance the level of cover that it provides to the local communities. 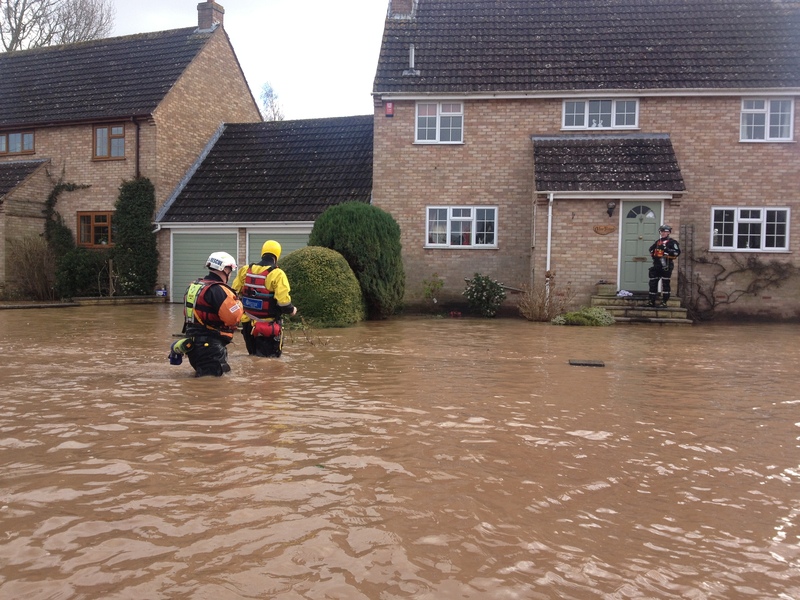 Although the Scheme is named after Ettington, a village five miles outside Stratford-upon-Avon, it covers a much larger area than just Ettington and volunteers are being sought who live in any of the villages in its coverage area. These villages include Alderminster, Armscote, Crimscote, Ettington, Fulready, Halford, Newbold-on-Stour, Pillerton Hersey, Pillerton Priors and Tredington. Community First Responders are everyday members of the public who are trained in life-saving techniques, including the use of a defibrillator. They are essential in areas that are remote and hard for an ambulance crew to reach quickly. Their availability, close proximity and local knowledge are among their many assets. Community First Responders will be called by the ambulance service’s control room to medical emergencies in their area to provide first-person-on-scene attendance whilst an ambulance is en route. They are vital in life-threatening situations, particularly in the case of a cardiac arrest, stroke and trauma when every minute counts. Ettington CFR Scheme (ECFRS) was launched in June 2009 and, since then, has responded to over 700 emergency incidents at the request of WMAS. In 2013, the team responded to 216 incidents. Scheme Co-ordinator, Alison Joyner, said: “We are appealing for further volunteers to join our team as CFRs so that we can increase the level of cover that we provide in our communities. We understand that people who are potentially interested may be concerned about having to be available on specific days and times and could find this restrictive. We do not operate a fixed-rota system so this means that CFRs can book on duty at times which fit in with their work and personal commitments. If the team is to maintain its momentum and, better still, to grow, it’s important that we increase the number of CFRs. In return for your commitment, you’ll be joining a lively and vibrant team, you will gain new skills and you will get immense satisfaction from making a real difference to your community”. “We are also appealing for fundraising volunteers to join the team. In this role, you would not have any medical duties. The role would be to organise fundraising events and to liaise with local businesses, parish councils and community organisations to help promote the team and to raise its profile. Although all our time is provided free-of-charge, it costs over £4,000 per year to keep the team running; this is to fund equipment, the team car and other operating expenses“. WMAS Community Response Manager, Bobby Qayum said: “Volunteers come from all walks of life. When they make themselves available to respond they can continue to go about their daily lives, but if an emergency call is received by the ambulance service within a five or six mile radius, they are sent and always backed-up by an emergency ambulance service vehicle. “To volunteer, you must be aged 18 or over, have a full driving license and lots of enthusiasm. Sunday 23rd February 2014 – 8.45pm – John Hawker. 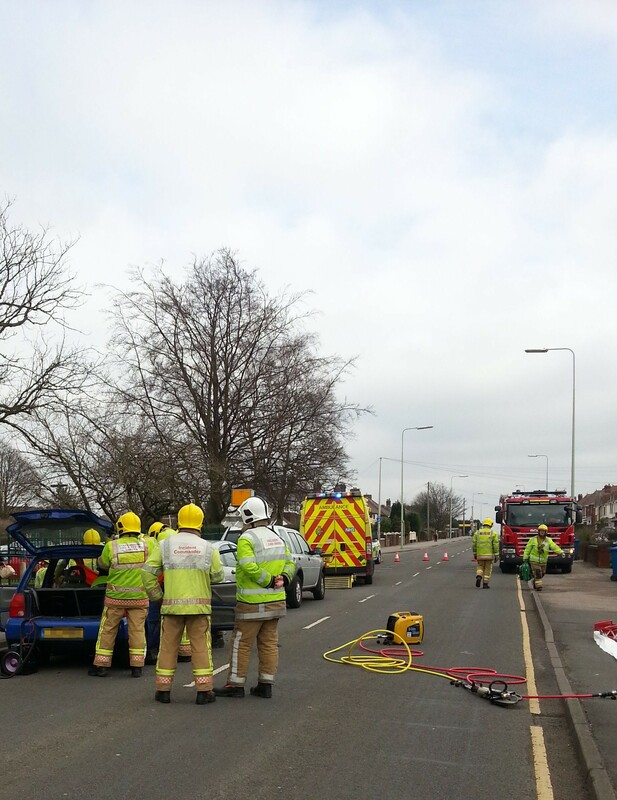 Three adults and a child have been injured following an RTC in Netherton this afternoon. The crash occurred on Halesowen Road at around 5.15pm. Four ambulances, a paramedic officer and the Trusts MERIT team attended the scene. A West Midlands Ambulance Service spokesman said: “Crews arrived to find three adults and one child that had been injured following a serious crash. “Two men travelling in one car both suffered multiple injuries and were treated at the scene. Both men, one believed to be in his late 30’s, one in his early 40’s, received treatment for their injuries and were immobilised using a spinal board and neck collar and also received pain relief. One man was transferred to Russell’s Hall Hospital and the second man was transferred to Sandwell Hospital for further treatment. Sunday 23rd February 2014 – 9.45am – John Hawker. A teenager has died and three other people have been injured following a serious RTC in Coventry last night. The crash occurred on Ansty Road at the junction of Woodway Lane, Walsgrave on Sowe at around 11.20pm. Three ambulances, a paramedic officer and the Trusts MERIT team with a Doctor attended the scene. A West Midlands Ambulance Service spokesman said: “Crews arrived to find two cars that had been in a serious RTC. “Unfortunately, it quickly became apparent nothing could be done to save the teenage passenger in one car, and the girl was confirmed dead at the scene. “A second passenger, also a teenage girl suffered serious leg injuries and was trapped in the vehicle. She received emergency treatment and was then extricated from the car with the assistance of the fire service. The girl’s condition was stabilised and she was transferred by ambulance to University Hospital Coventry and Warwickshire for further emergency treatment. “The driver of the car, a man believed to be in his 30’s, suffered serious pelvic and hip injuries. He also received emergency treatment at the scene and was transferred to the same hospital for further treatment. Friday 21st February 2014 – 6.20pm – John Hawker. 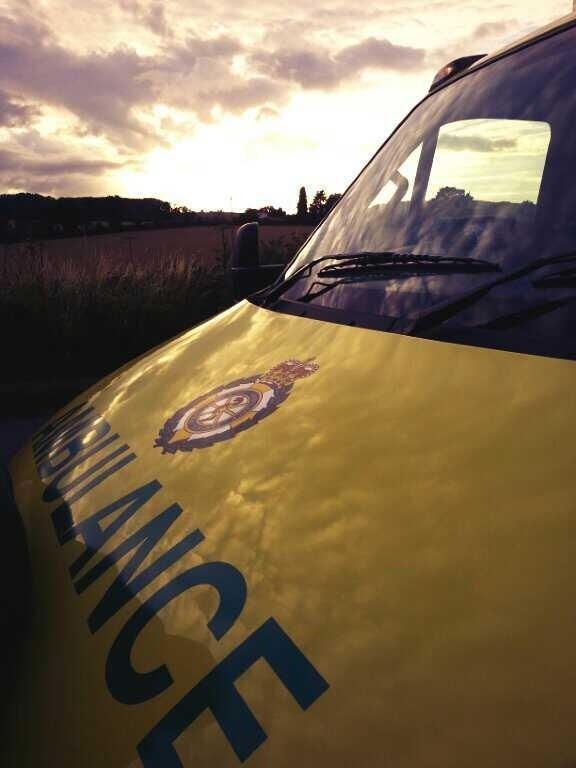 Two drivers have been seriously injured following a RTC in Staffordshire this afternoon. The crash occurred on the A515, Rileyhill, near Kings Bromley at around 3.10pm. Two ambulances, a paramedic officer, and the Midlands Air Ambulances from Cosford and Staffordshire attended the scene. A West Midlands Ambulance Service spokesman said: “Crews arrived to find two cars that had been in a serious collision. Both vehicles had suffered substantial damage. “The woman driving one of the cars, believed to be 21 years old, suffered serious leg injuries, suspected chest injuries and was trapped in her vehicle for around 60 minutes. Ambulance crews worked to release the woman with the assistance of the fire service. “The woman’s condition was stabilised and she was airlifted to University Hospital North Staffordshire for further emergency treatment. “The woman driving the second car suffered suspected serious pelvic injuries and was trapped for around 90 minutes. She also received emergency treatment whilst still in her vehicle and was released by ambulance crews and the fire service. “Once her condition was stabilised the woman, believed to be 55 years old, was airlifted to Queen Elizabeth Hospital Birmingham for further emergency treatment. Thursday 20th February 2014 – 10pm – Jamie Arrowsmith. A man has died following a road traffic collision in the Eccleshall area of Staffordshire earlier today (Thursday). West Midlands Ambulance Service was called just after 4.30pm to reports of a two-car collision near to the junction of Cash Lane and the A519. Two ambulances, a BASICS doctor, a community first responder, and the Midlands Air Ambulances from Cosford and Tatenhill attended the scene. A West Midlands Ambulance Service spokesman said: “On arrival, crews discovered two cars that had been involved in a serious collision. “Unfortunately, it quickly became apparent that nothing could be done to save the occupant of one of the cars and the man was confirmed dead at the scene. “The second occupant of the car, a woman believed to be 19 years old, was treated for pelvic, neck and chest injuries and fully immobilised with the use of a neck collar and spinal board. She was then airlifted to University Hospital North Staffordshire for further emergency treatment. Wednesday, 19th February 2014 – 3.15pm – Jamie Arrowsmith. The success of West Midlands Ambulance Service’s (WMAS) Engaging Leaders Programme has been further highlighted by the fact it is set to be rolled out across the region. Health Education West Midlands (HEWM), the body responsible for educating and training health and public health workers, has been so impressed by the award winning programme, which was launched in May 2010, that it has asked WMAS to run a regional pilot course, starting in March. The aim of the programme, which was set up and is run by WMAS Head of Organisational Development Barbara Kozlowska, is to develop emerging healthcare leaders at Band 6 level to release the full potential of healthcare organisations. This is done by role-modelling the future behaviours of the NHS so that patients and wider stakeholders experience staff who are enthusiastic, motivated and professional. Once enrolled on the 12-month programme, participants will work through a number of modules which include Being Effective At Work, Improving Performance At Work, Leading Change and Improvement and Managing and Monitoring Service Delivery. This will be done across ten one-day development days as well as through participants’ own time with the use of a virtual learning system. Looking ahead to the partnership, Barbara Kozlowska said: “I am delighted that Health Education West Midlands has asked us to run our hugely successful Engaging Leaders Programme in partnership with them. This programme will be open to all West Midlands NHS organisations and will be jointly facilitated by WMAS and HEWM. “It is a great opportunity for us to showcase how we develop our future leaders and I’m very much looking forward to delivering this programme. 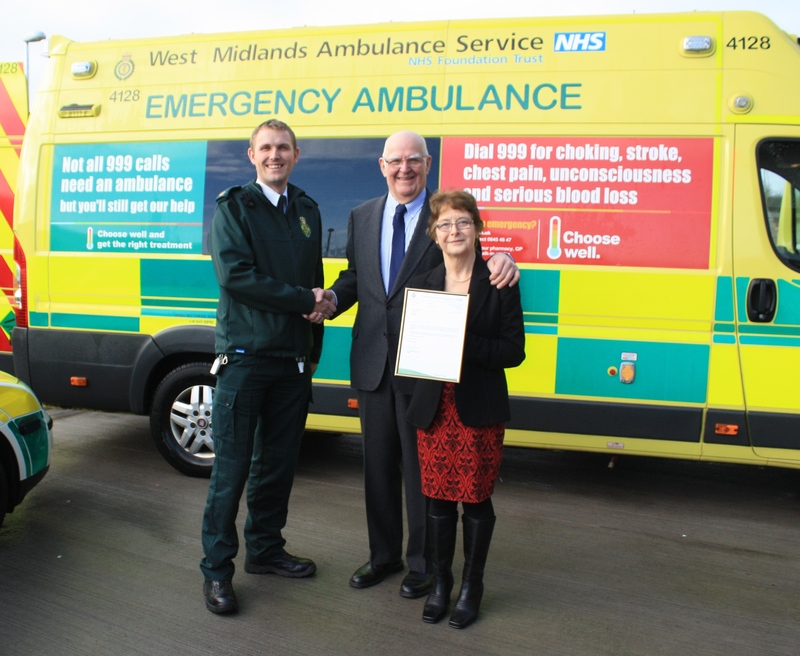 Sue Harris, HEWM Deputy Head of Leadership, said: “We are excited to be working in partnership with WMAS to deliver their successful Engaging Leaders programme across the whole of the West Midlands. “Increasing and supporting leadership capability is a key priority for HEWM and we need to ensure we engage with all grades of staff to help them realise their potential. “WMAS has been delivering a highly successful programme aimed at first time and aspiring leaders. The outputs and impact this programme has had can be evidenced through current and past participants who have demonstrated positive changes in their own leadership capability and the way they lead their teams. Wednesday 19th February 2014 – 11.30am – John Hawker. Long serving Community First Responders Mick and Barbara Shepard have hung up their fluorescent jackets for the last time after retiring after 11 years serving their community as Community First Responders. Mick and Barbara, who are both 64, have been responding to 999 calls in the village of Oxhill, Warwickshire and surrounding areas during their spare time and helped local residents hundreds of times. The couple were honoured by the Trust in 2011 with a Chief Officer’s Commendation for “Actions Above and Beyond the Call of Duty”, for saving an Ambulance, the crew and patient from slipping off the road down an embankment on Sun Rising Hill, due to heavy snow fall by using their 4×4 responder truck. They also received the Queens Jubilee Medal in 2012. 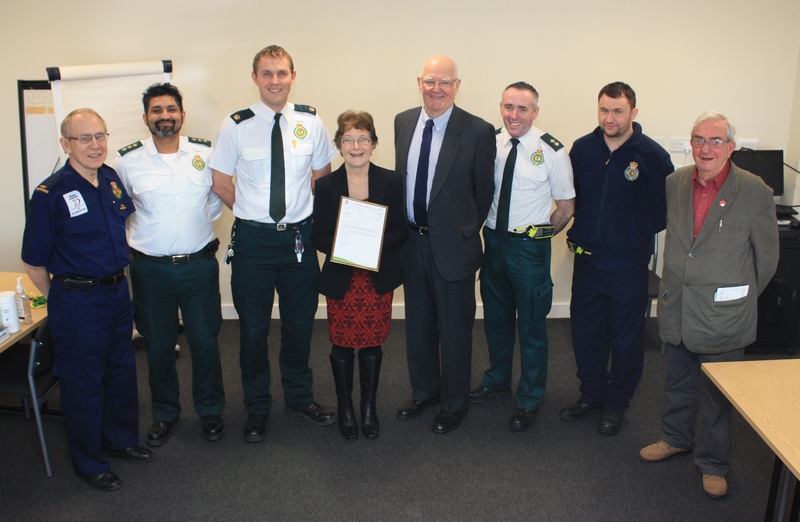 Mick and Barbara are pictured presented with a letter of thanks by Area Manager Martyn Scott and CRM Bobby Qayum. A further shows them with other CFR colleagues. Wednesday 19th February 2014 – 10.00am – Suzie Fothergill. West Midlands Ambulance Service is appealing to all service users for their feedback to help us shape the future of the ambulance service. Emergency first aid at work – Do you know what to do? 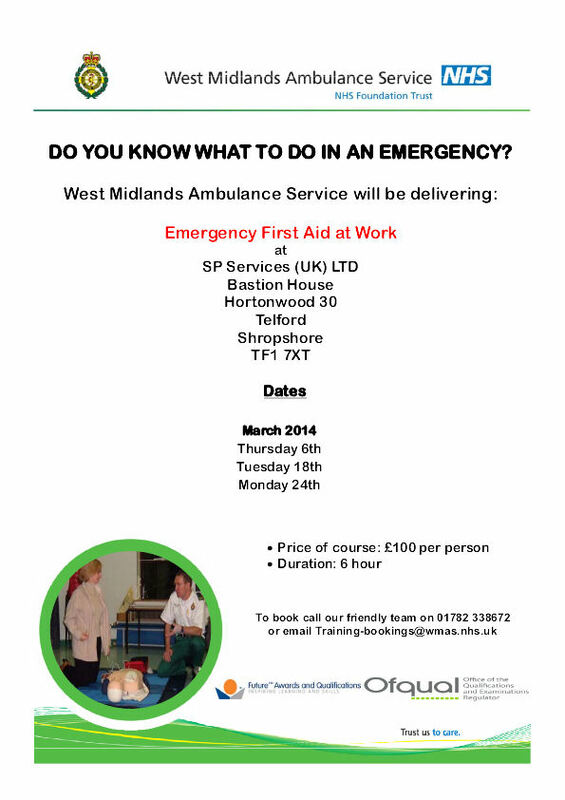 West Midlands Ambulance Service’s commercial training department has a number of ‘Emergency First Aid at Work’ courses available throughout March. These courses will be taking place in Telford. Please see the information leaflet attached or contact our training department via 01782 338672 for more details. Alternatively please email the team via Training-bookings@wmas.nhs.uk. Tuesday 18th February 2014 – 4.45pm – John Hawker. 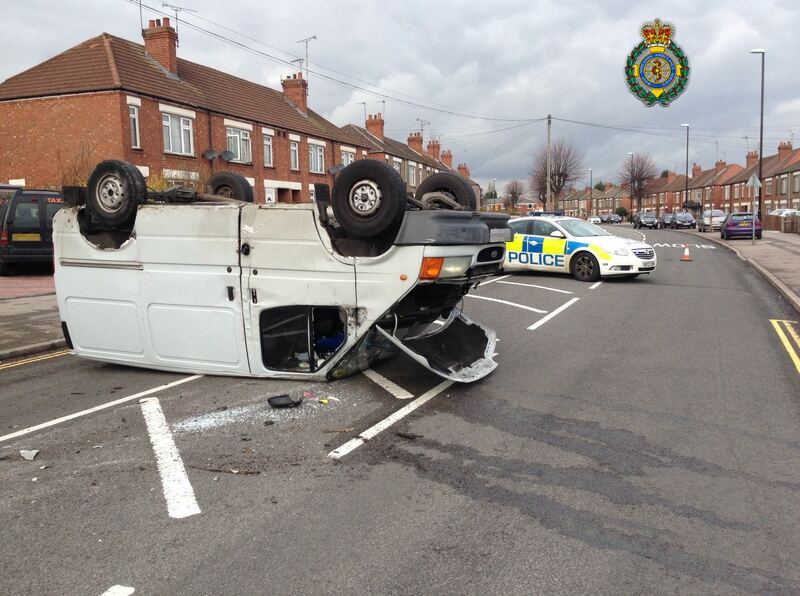 A man and woman had a lucky escape when the van they were travelling was involved in an RTC in Coventry this afternoon. West Midlands Ambulance Service were called to reports of a car and a van that had been in a serious collision at around 2.35pm. Two ambulances and a paramedic officer attended the scene. A West Midlands Ambulance Service spokesman said: “Crews arrived to find a van that had been involved in collision with a car and came to rest on its roof in the middle of the road. “Fortunately, the man and woman in the van, both believed to be in their mid 50’s suffered multiple minor injuries in the crash, mainly around the chest area where the seat belt had restrained them. “Both patients were assessed and treated at the scene by ambulance crews but did not require further treatment and were discharged at the scene. Tuesday 18th February 2014 – 4.45pm – Jamie Arrowsmith. A man suffered head injuries following a collision with a car in Stoke earlier today (Tuesday). 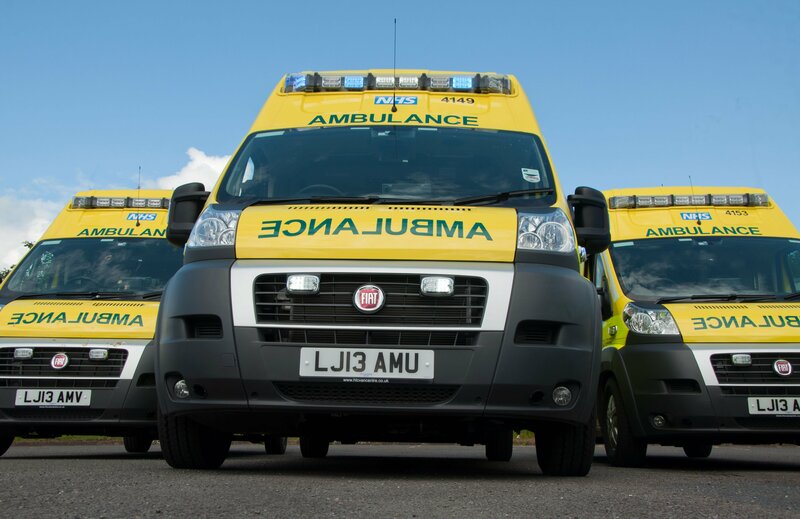 West Midlands Ambulance Service was called to reports of a man who had reportedly been knocked unconscious in an incident on Werrington Road, Bucknall, at 1.10pm. Two ambulances attended the scene. 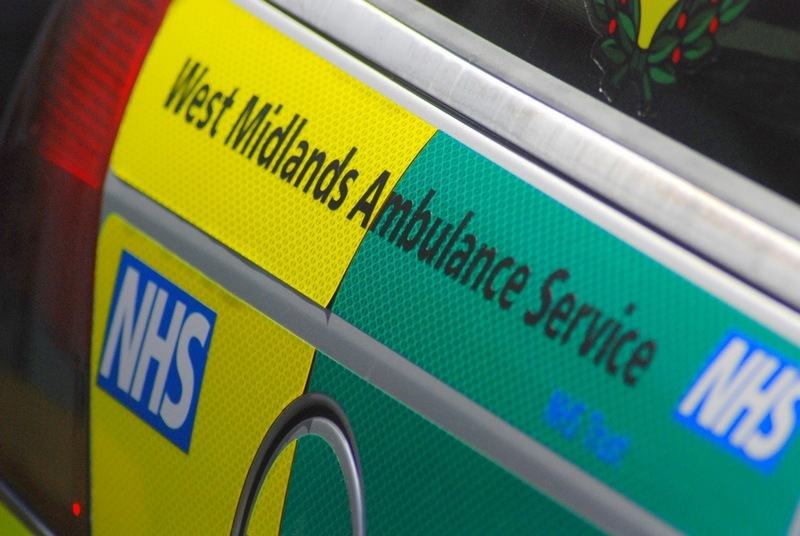 A West Midlands Ambulance Service spokesman said: “Crews arrived to discover a 74-year-old man who had been knocked to the floor following a collision with a car. “He was conscious when crews arrived and following assessment of the patient it was determined that he was suffering with head injuries. Tuesday 18th February 2014 – 3.30pm – Claire Brown. A Birmingham paramedic and a 9kg doll called ‘Annie’ will be amongst a group of medics embarking on a charity climb up Britain’s tallest mountain in May. Adam Aston, a paramedic based at Henrietta Street Ambulance Station in Birmingham City Centre, is a volunteer in his spare time with St John Ambulance. When he’s not saving lives, he’s a councillor for Dudley Metropolitan Borough Council and consort to the Deputy Mayor of Dudley. On the 3rd May, Adam will join a group of fellow medics from St John Ambulance to walk the 10.5 miles up the pathways of the Scottish mountain whilst carrying ‘Annie’ the resuscitation doll; a first-aid training mannequin used to teach people Cardiopulmonary Resuscitation (CPR). Once the group reach the summit of Ben Nevis and before they have chance to catch their breath, they aim to complete four-minutes of CPR on ‘Annie’ at 4,409 feet above sea level. If you would like to donate and show your support, please visit www.justgiving.com/teams/bucklandsend. Notes to Editor: Photograph courtesy of Dudley News. 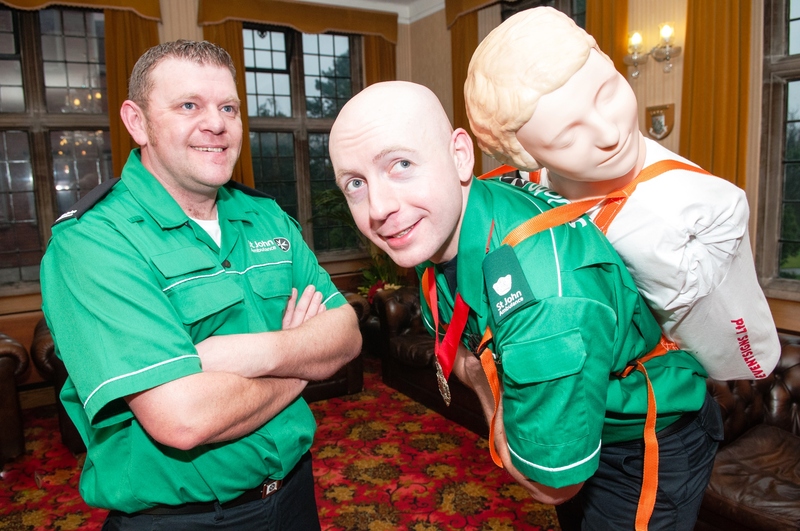 Pictured (left to right) are Craig Thompson from St John Ambulance with Cllr Adam Aston, a paramedic and fellow St John Ambulance volunteer, carrying Annie. Tuesday 18th February 2014 – 3.15pm – Jamie Arrowsmith. A teenager suffered back and neck injuries after falling from a horse in Brownhills earlier today (Tuesday). West Midlands Ambulance Service was called to a field in Pelsall Road at approximately 11.25am. An ambulance, the Midlands Air Ambulance from Tatenhill and a Community First Responder attended the scene. A West Midlands Ambulance Service spokesman said: “The girl, who was 13-years-old, had reportedly landed on her back after falling about five feet from the horse. The girl remained conscious throughout. “She was assessed and treated for lower back and neck pain by ambulance crews and had a pelvic splint applied as a precaution. Pictured: Hazardous Area Response Paramedics (in green) working alongside emergency service colleagues to rescue a man following a trench collapse in Smethwick today. If used, please credit West Midlands Ambulance Service. Monday 17th February 2014 – 5.30pm – Suzie Fothergill. 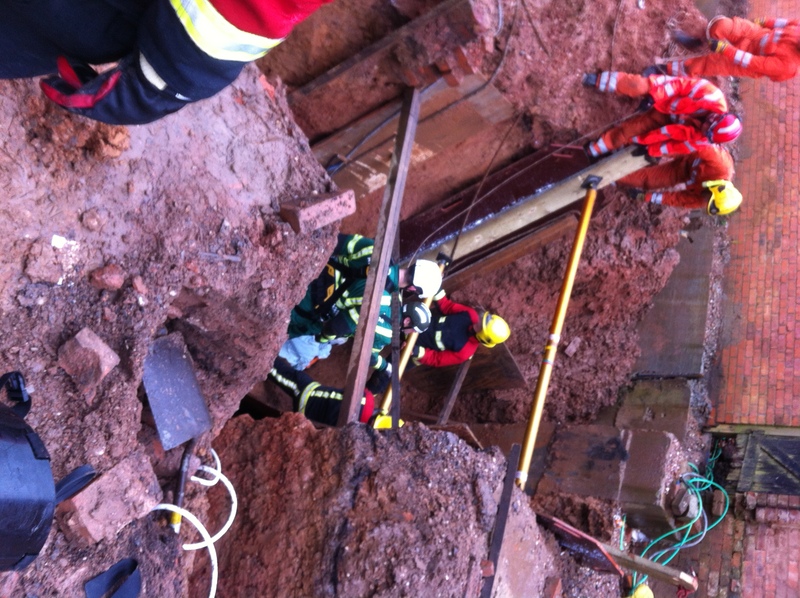 A man had to be rescued from a trench after one of the sides collapsed in. West Midlands Ambulance Service was called to the incident on Barclay Road in Smethwick shortly after 2.20pm today. An ambulance, a rapid response vehicle, a paramedic area support officer, the Hazardous Area Response Team, the Trust’s MERIT rapid response vehicle and the Midlands Air Ambulance from Cosford, both carrying a critical care paramedic and a trauma doctor, attended the scene. A West Midlands Ambulance Service spokeswoman said: “Crews were called to reports of a man who had become trapped in a trench that he had been working in. It is believed that one of the sides collapsed in on the hole, which was approximately 18 feet deep. “On arrival at the scene crews could only see the man’s head. Ambulance personnel quickly dug away some of the earth to help free the man. 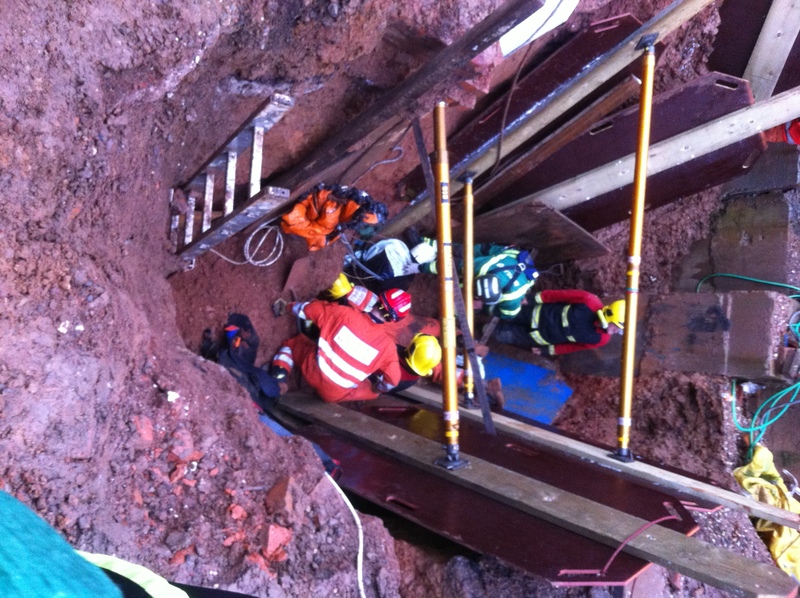 “Emergency services worked closely together for over two and a half hours to extricate the man safely from the trench. Crews used specialist stretcher equipment and a hoist to finally release him from the hole. “The man, believed to be in his early 20’s, was treated for chest and potential pelvic injuries and was conveyed to the Major Trauma Centre at Queen Elizabeth Hospital Birmingham for further assessment and treatment. “A trauma doctor travelled on board the ambulance along with the crew continuing to provide emergency medical treatment whilst en route to hospital. Monday 17th February 2014 – 1.30pm – Suzie Fothergill. A woman has been airlifted to hospital after the car she was travelling in overturned into a stream in Staffordshire today. West Midlands Ambulance Service was called to the incident on the A38 in Burton-on-Trent shortly after 9.50am this morning. An ambulance, a senior ambulance officer in a rapid response vehicle and the Midlands Air Ambulance from Staffordshire were dispatched to the scene. A West Midlands Ambulance Service spokeswoman said: “On arrival at the scene crews found a single vehicle that had left the carriageway and was found overturned in a stream. “The driver of the car, a woman in her early 20’s, had managed to get herself out of the vehicle and was on the side of the road when ambulance crews arrived. “The woman was treated for neck, back and abdominal pain and was fully immobilised at the scene. The casualty, who was extremely wet following the incident, was wrapped in a specialist blanket to keep her warm before being airlifted to the Royal Derby Hospital for further assessment and treatment. Monday 17th February 2014 – 12.00pm – Suzie Fothergill. 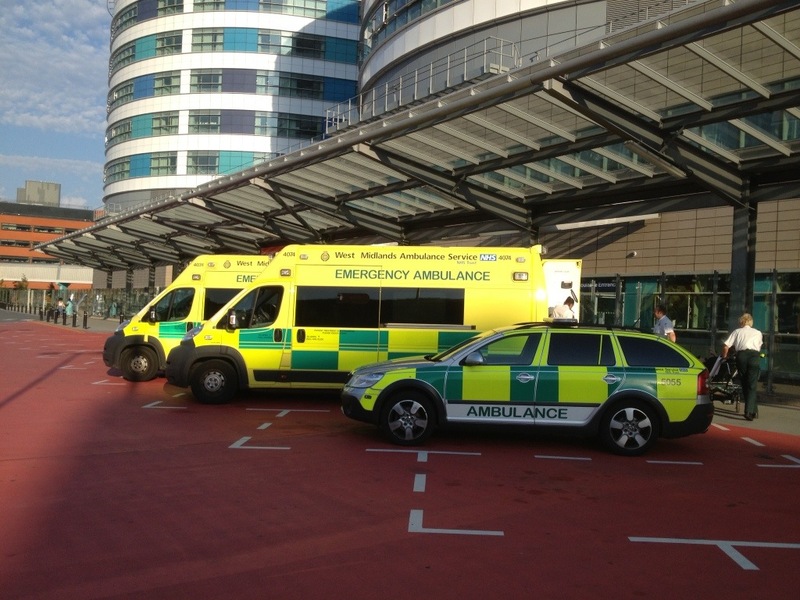 A man has been treated by ambulance crews following a significant road traffic collision on the M6 morning. West Midlands Ambulance Service was called to the incident between junctions 1-2 on the motorway near to Ansty in Coventry today. An ambulance, a paramedic area support officer in a rapid response vehicle, a senior ambulance officer and the Warwickshire and Northamptonshire Air Ambulance were dispatched to the scene. A West Midlands Ambulance Service spokeswoman said: “Crews were called to reports of a van and a lorry that had been in collision. “On arrival at the scene crews found a van that had sustained significant damage to its rear end. The van is believed to have overturned was found resting on its side on the verge of the motorway. “The driver, a man in his 30’s, was fully immobilised and extricated from the vehicle, with the assistance of the fire service. The man was treated at the scene for back pain and potential internal injuries and was conveyed to University Hospital of Coventry and Warwickshire, via land ambulance, for further assessment and treatment. “The doctor from the air ambulance travelled on board the ambulance along with the crew continuing to provide emergency medical whilst en route to hospital. Sunday 16th February 2014 – 8.15pm – Suzie Fothergill. Ambulance crews treated two boys who had become injured at a motorbike event in Tamworth today. West Midlands Ambulance Service was called to the event near to Stipers Hill and High Street in Polesworth shortly before 11:10am this morning. Two ambulances and the Warwickshire and Northamptonshire Air Ambulance were dispatched to the scene. A West Midlands Ambulance Service spokeswoman said: “Crews arrived to find two boys who had become injured after falling from their bikes. “The first boy was treated at the scene for a fractured leg. The casualty was given pain relief and his leg was splinted before he was airlifted to University Hospital of Coventry and Warwickshire. Sunday 16th February 2014 – 4.50pm – Suzie Fothergill. 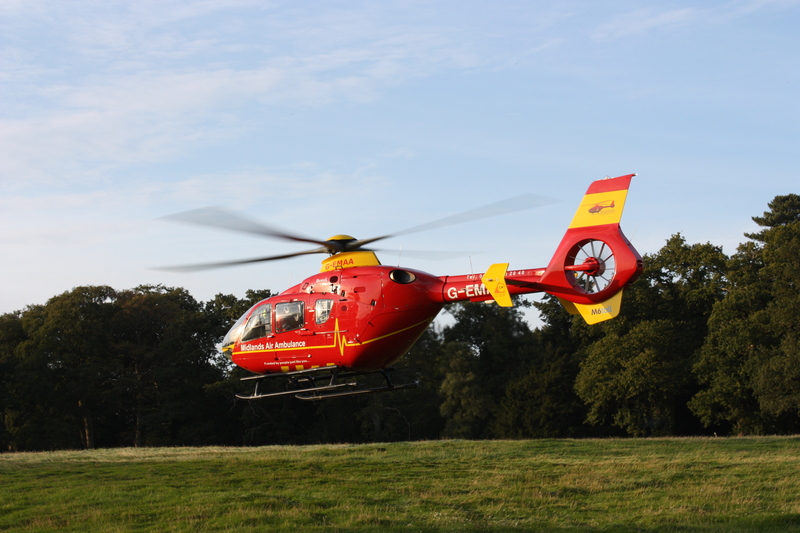 A man has been airlifted to hospital following a road traffic collision in Worcestershire today. West Midlands Ambulance Service was called to the incident at Newnham Bridge in Tenbury Wells at approximately 7.00am this morning. An ambulance and the Midlands Air Ambulance from Cosford were dispatched to the scene. A West Midlands Ambulance Service spokeswoman said: “Crews were called to reports of a car that had been in collision with a number of stationary vehicles. “The driver of the car, a man believed to be in his 30’s, was trapped in the vehicle for approximately one hour whilst emergency services worked together to free him safely. “The man was treated for a chest injury and his lung was required to be decompressed at the scene. 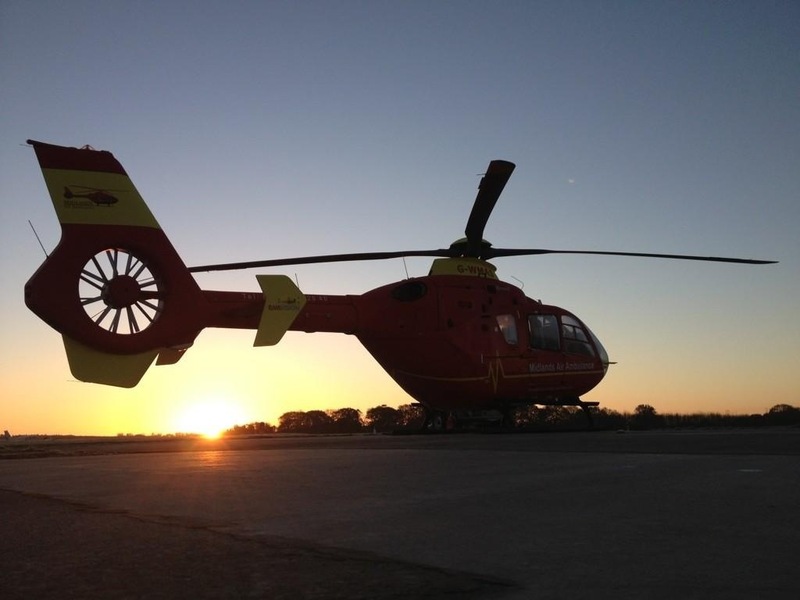 “Due to the cold weather conditions the casualty was wrapped in a specialist blanket and was airlifted to Worcester Royal Hospital for further assessment and treatment. Sunday 16th February 2014 – 10.30am – Suzie Fothergill. A man has died following a road traffic collision in Coventry today. West Midlands Ambulance Service was called to the incident in Beake Avenue at approximately 4.50am this morning. A West Midlands Ambulance Service spokeswoman said: “Crews were called to reports of a car that had left the carriageway and had been in collision with a number of walls. Saturday 15th February 2014 – 9.30pm – Suzie Fothergill. 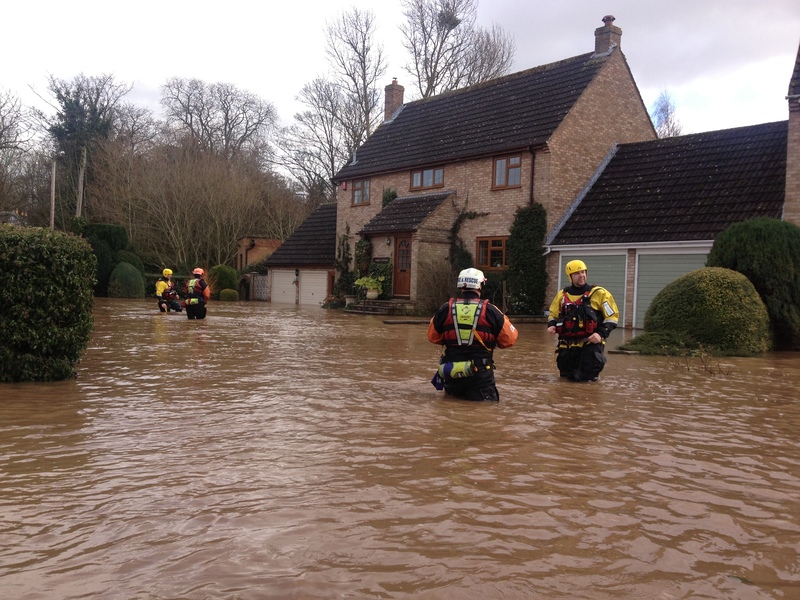 As part of the multi-service flood response, Paramedics from HART have been travelling by boat and, where possible, wading out to houses that have limited access due to their homes or neighbourhoods being flooded. The ‘safe and well’ checks not only ensure the public’s safety and general welfare but it also provides residents the opportunity to raise any health concerns they may have; most of which can then be addressed within their home environment. Residents who take regular medication have also been asked if they have an adequate supply to see them through the flooding period. The checks have proved to be beneficial and on Friday Paramedics found themselves treating a patient who had been suffering from chest pains. 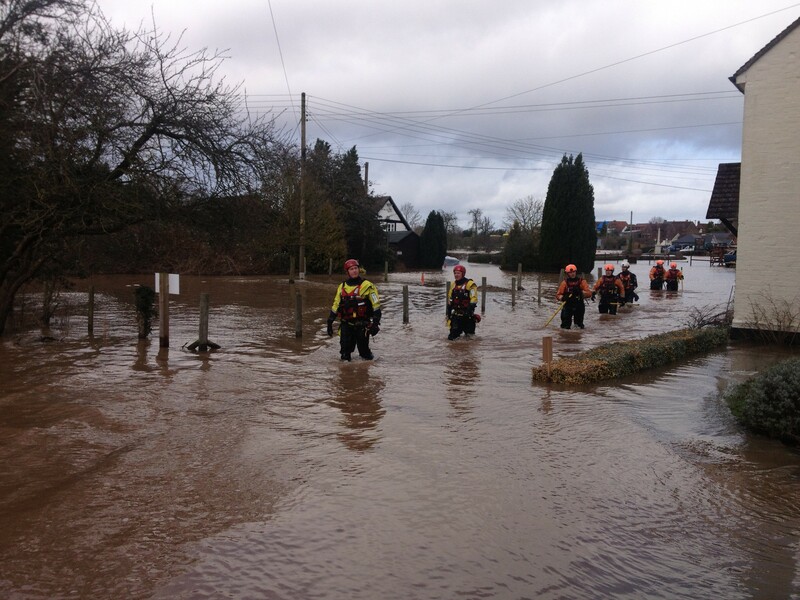 WMAS Assistant Chief Ambulance Officer, Steve Wheaton, said: “Initiatives such as this not only shows our determination to ensure those affected by flooding are being monitored and communicated with, but also demonstrates the excellent relationship the emergency service partners have with each other working seamlessly in such difficult conditions. 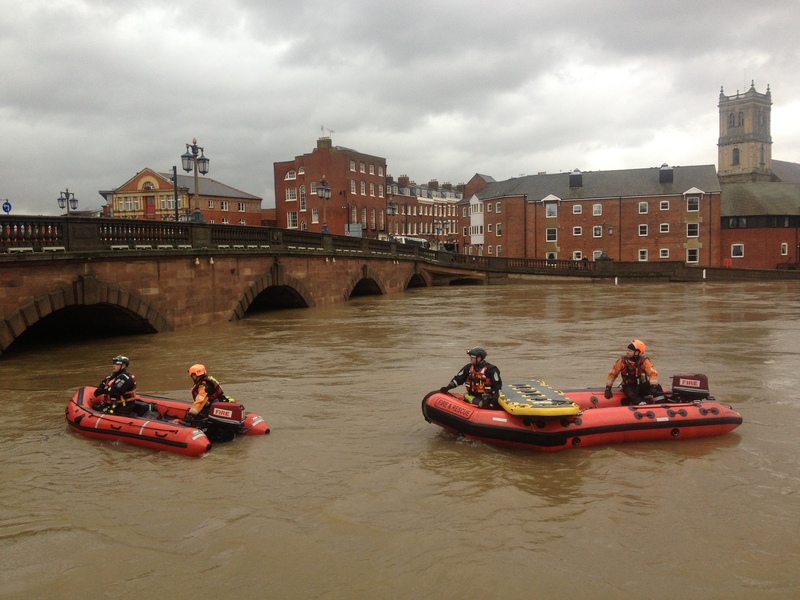 Pictured: Teams travelling by boast in the flood water in Worcester and wading at Severn Stoke. Saturday 15th February 2014 – 10.30am – Suzie Fothergill. West Midlands Ambulance Service was again called to a number of incidents involving falling trees as the high winds returned to the region last night. Shortly after 7.15pm yesterday evening (Friday) crews were called to Truemans Heath Lane in Hollywood, Birmingham when a tree fell on a passing car. An ambulance, a paramedic area support officer and the Trust’s MERIT rapid response vehicle, carrying a critical care paramedic and a trauma doctor, were dispatched to the scene. 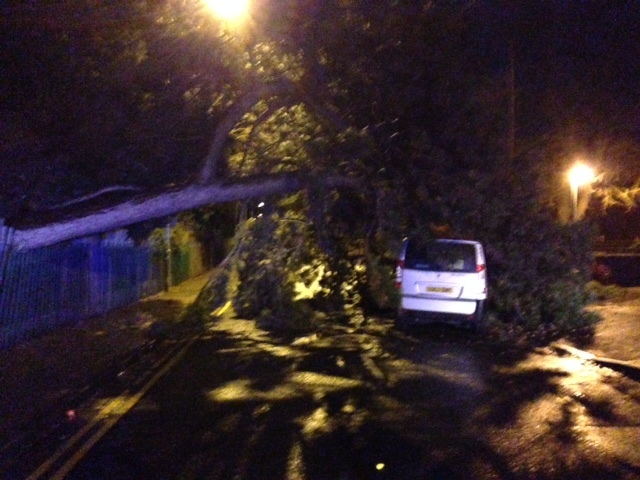 On arrival at the scene crews found a fallen tree and a car that had left the carriageway and was in a garden. The vehicle had sustained significant damage to its front end and roof. Due to the damage to the car, the driver, a man believed to be in his 50’s, had to be cut free from the vehicle. The man was treated at the scene for minor cuts and bruising and for back and neck pain injuries. He was fully immobilised and given pain relief before being conveyed to the Alexandra Hospital in Redditch for further assessment and treatment. Ambulance crews were called to a second incident involving a falling tree in the early hours of the morning on Henwick Road in Worcester. A rapid response vehicle was dispatched to the incident at 1.47am today. Fortunately the driver had managed to safely get out of the vehicle and was found to be uninjured. A picture of the Henwick Road incident can be downloaded. If used please credit West Midlands Ambulance Service. Friday 14th February 2014 – 9.30pm – Suzie Fothergill. A teenage girl has been treated by ambulance crews following a road traffic collision in Hereford today. West Midlands Ambulance Service was called to the incident on Belmont Road shortly before 7.25pm this evening. A West Midlands Ambulance Service spokeswoman said: “Crews were called to reports of a child that had been in collision with a car. “The teenage girl was treated at the scene for a head injury and conveyed to Hereford County Hospital for further assessment and treatment. “The hospital was pre-alerted and medics were on standby awaiting the arrival of the girl. Friday 14th February 2014 – 4.00pm – Claire Brown. With more heavy rain and winds forecast for the rest of today and into the weekend, West Midlands Ambulance Service is urging the public to take some simple precautions to stay safe. 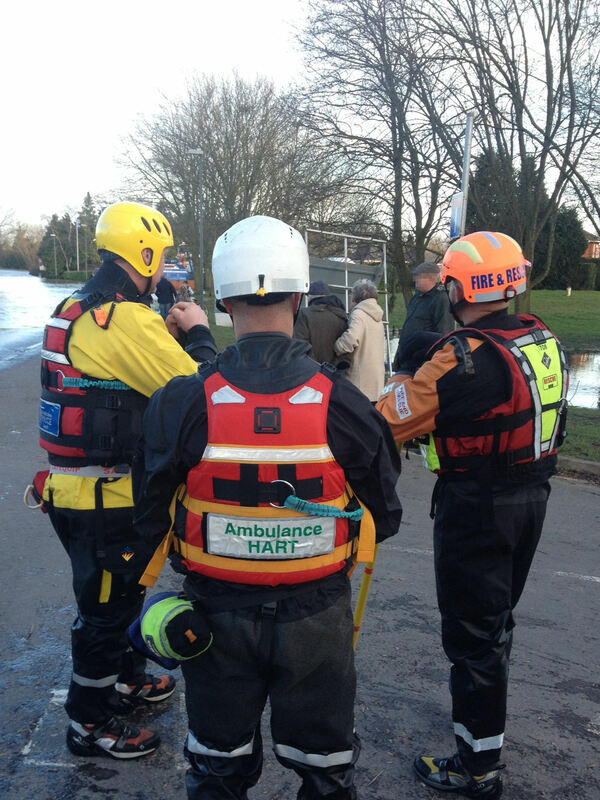 The ambulance service continues to liaise closely with fellow emergency services and the Environment Agency in flood hit areas of the Region. Additional vehicles with 4×4 capabilities are also on standby to provide further resilience if needed. 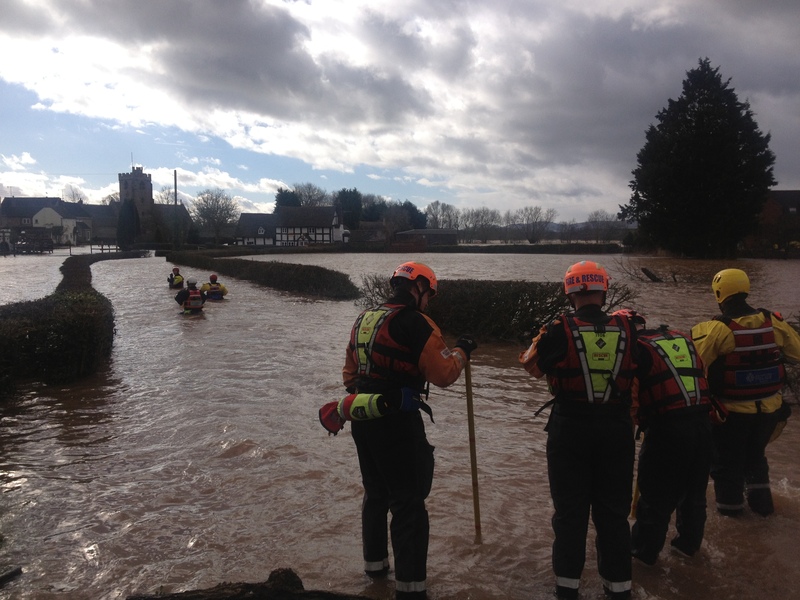 WMAS Assistant Chief Ambulance Officer, Steve Wheaton, said: “We would ask all members of the public to follow the advice of the Environment Agency and other emergency services and stay away from flood control channels, rivers, streams and other waterways at this time. 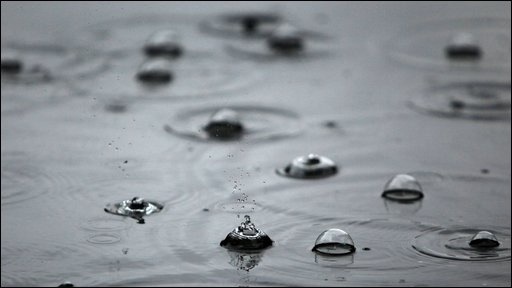 “The forecasted strong wind and heavy rain will no doubt make driving conditions treacherous. Please take extra care if you are out on the Region’s roads this weekend and keep up-to-date with road closures via your local radio stations and council websites. However tempting it is, we urge motorists to avoid driving through flooded roads. “Not heeding the many safety warnings puts lives at risk, including ambulance staff and other emergency service personnel called to provide a service in these most challenging of conditions. Last year (2013), West Midlands Ambulance Service was called to over 100,000 heart related cases; that is over 10% of all of the 999 calls we received. Learning how to do CPR is very simple and could literally be a life saver! Wednesday 12th February 2014 – 9.55pm – Suzie Fothergill. 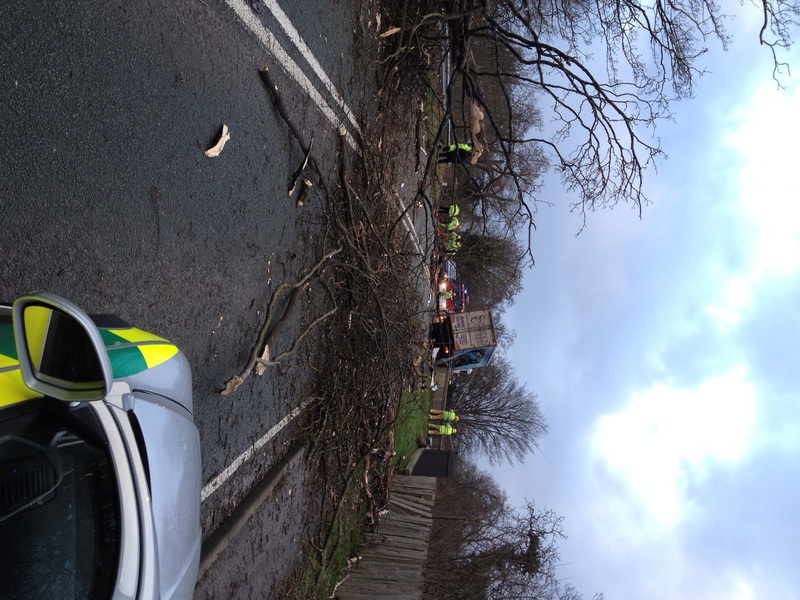 West Midlands Ambulance Service has attended to a number of incidents that have occurred as a result of falling trees around the Region today. Ambulance crews were called to reports of a lorry that had collided with a bridge in Shropshire after a tree fell on to the carriageway. Two ambulances, two rapid response vehicles and the Trust’s MERIT rapid response vehicle, carrying a critical care paramedic and a trauma doctor were dispatched to the incident which occurred near to Tern Lodge in Atcham, Shrewsbury shortly before 4.15pm. 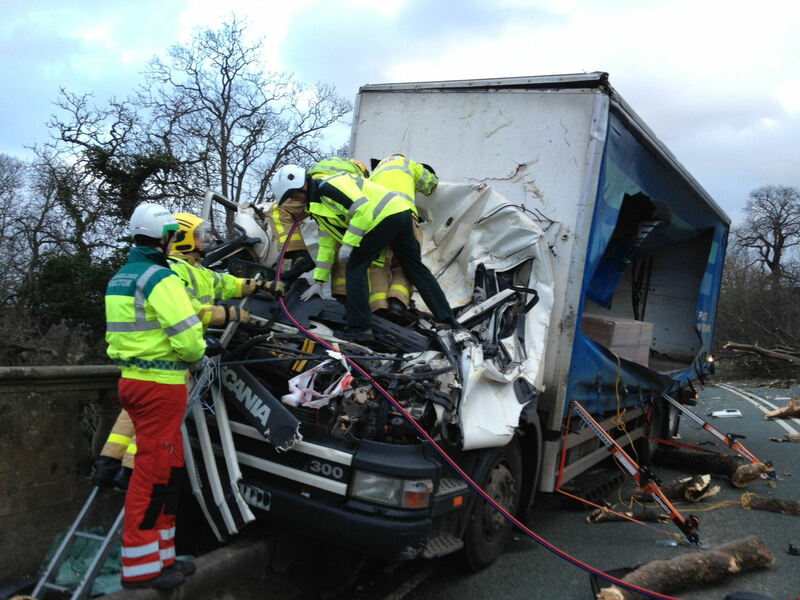 The driver of the lorry, was trapped in the cab for approximately two hours whilst emergency service crews worked together to free him safely. The man was treated for a broken arm and a laceration to his head before being conveyed to Royal Shrewsbury Hospital for further assessment and treatment. At 5.30pm the ambulance service received a call to Leek Road in Longsdon, Stoke-on-Trent to reports of a number of trees that had fallen on a car. An ambulance and a paramedic area support officer attended the scene. 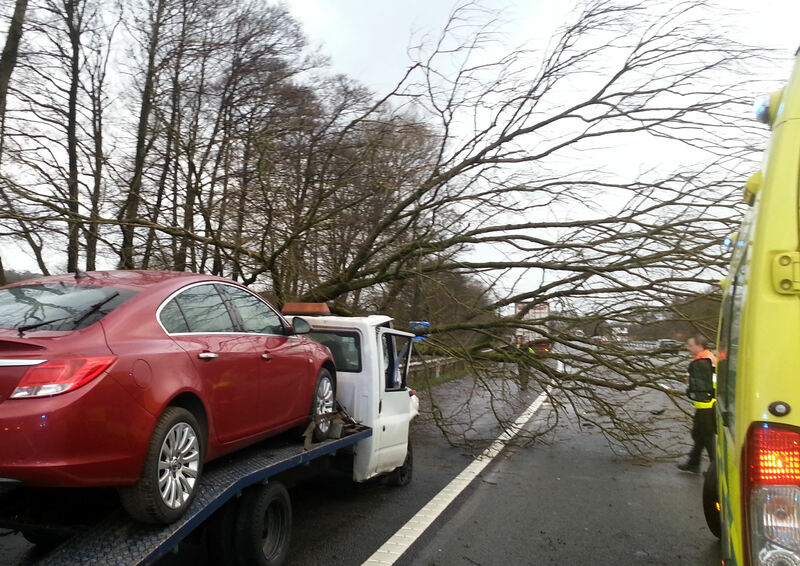 On arrival, crews found two trees that had fallen on to power cables and a vehicle. Fortunately, the driver of the vehicle, a man, had managed to get himself out of the car. The man was assessed at the scene and was found to be uninjured. These two incidents followed on from an earlier reported collision which took place on the M6 at 3.45pm this afternoon. Given the damage to the vehicles in these incidents, all of the casualties involved have been fortunate to have sustained relatively minor or no injuries. With the high winds and rainy weather set to continue, road users and pedestrians are asked to consider if their journeys are essential this evening. If you do need to travel please ensure you take extra care when out and adjust your driving to suit the conditions of the road. Pictures of the Atcham incident can be downloaded. If used, please credit West Midlands Ambulance Service. Wednesday 12th February 2014 – 5.15pm – Suzie Fothergill. 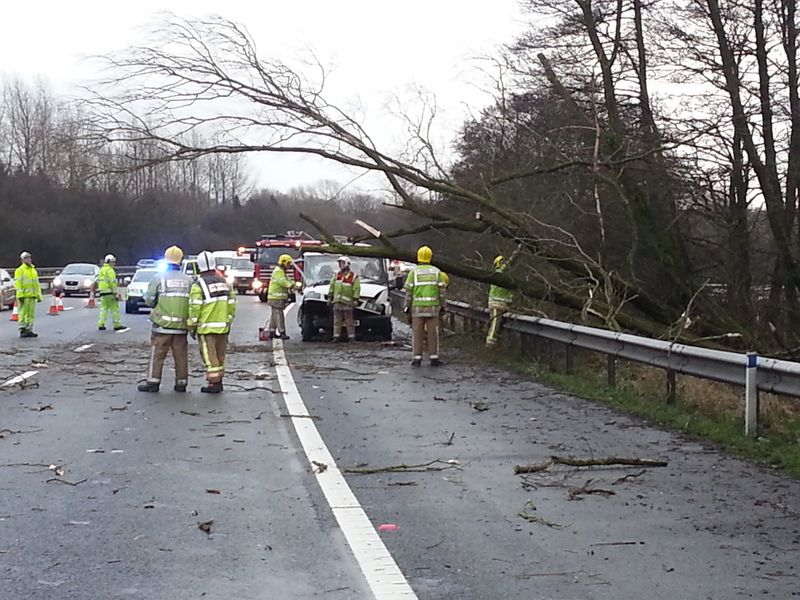 Ambulance crews were called to a collision following a tree fall on the M6 this afternoon. 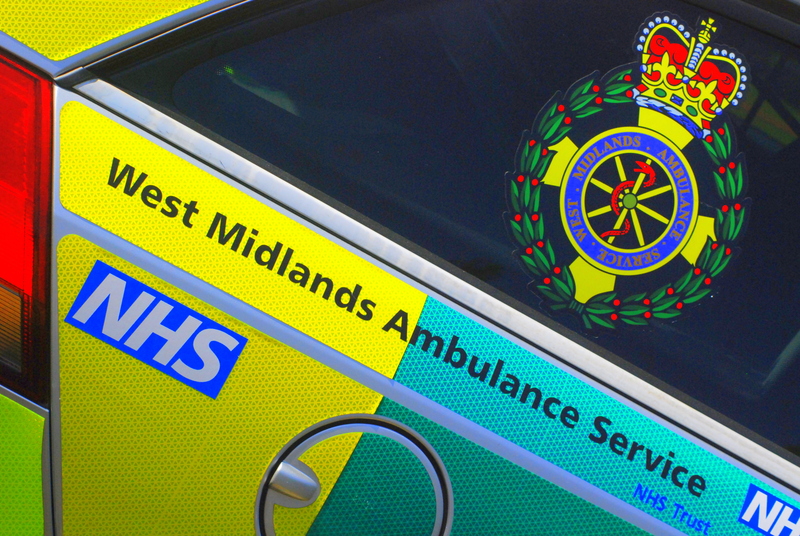 West Midlands Ambulance Service was called to the incident between junctions 15 – 16 shortly before 3.45pm this afternoon. A West Midlands Ambulance Service spokeswoman said: “Crews were called to reports of a collision that occurred on the M6 after a tree fell on to a passing lorry. 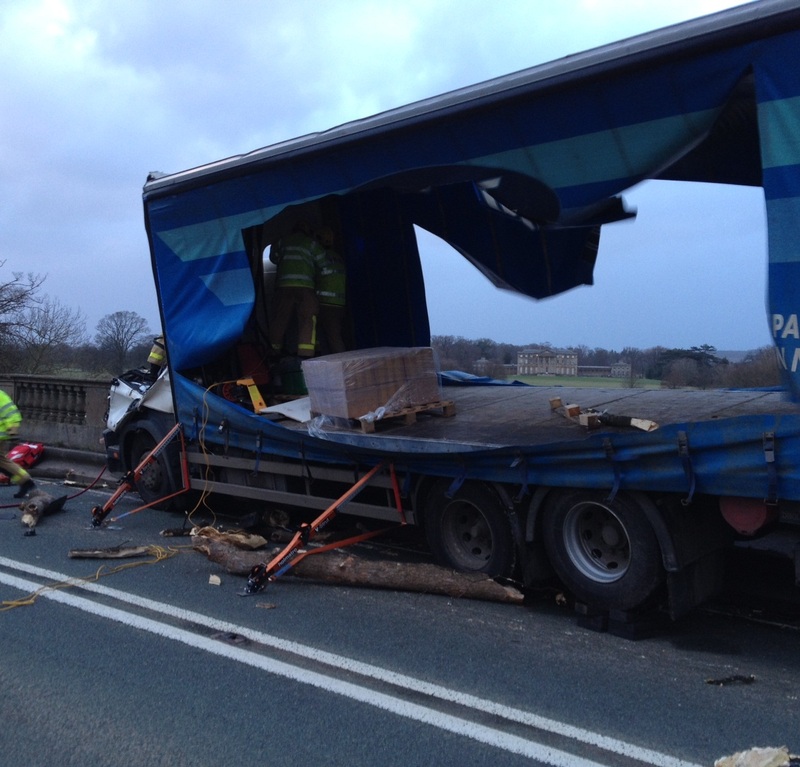 “Crews arrived on scene to also find a second lorry and a recovery vehicle that had collided. 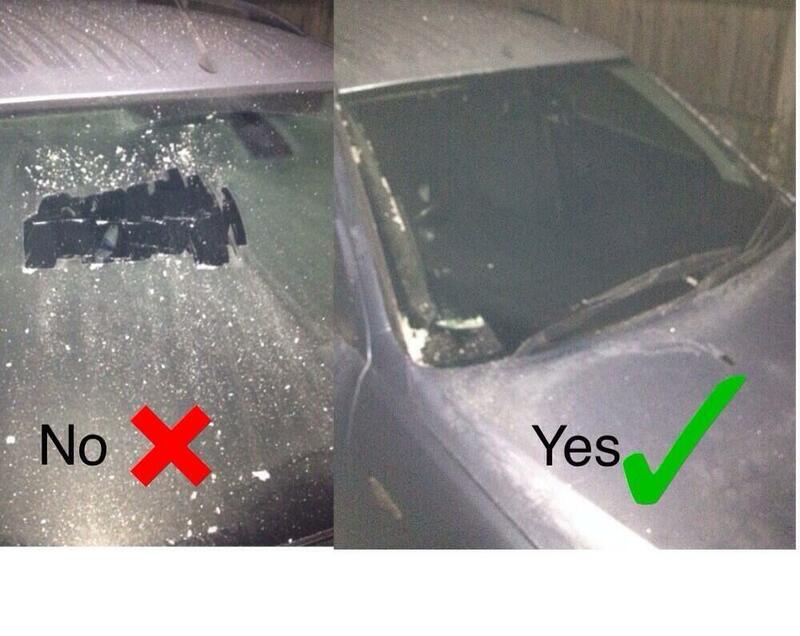 If used, pictures should be credited to West Midlands Ambulance Service. Wednesday 12th February 2014 – 2.30pm – Suzie Fothergill. A motorcyclist has been airlifted to hospital following a road traffic collision in Warwickshire today. West Midlands Ambulance Service was called to the incident on the A45 in Thurlaston shortly before 7.45am this morning. An ambulance, a paramedic area support officer in a rapid response vehicle and the Warwickshire and Northamptonshire Air Ambulance were dispatched to the scene. A West Midlands Ambulance Service spokeswoman said: “Crews were called to reports of a single vehicle road traffic collision, involving a motorbike and a sign post. “The motorcyclist, a man believed to be in his late teens, was treated for injuries to his chest, pelvis and legs. The man was fully immobilised and stabilised by ambulance crews at the scene before being conveyed via air ambulance to the major trauma centre at University Hospital of Coventry and Warwickshire. Wednesday 12th February 2014 – 9.00am – Suzie Fothergill. A teenager has been treated for burns following a chip pan fire in Staffordshire yesterday evening. West Midlands Ambulance Service was called to a private property on Wainwright Walk in Hanley at approximately 7.45pm last night. An ambulance and a paramedic area support officer in a rapid response vehicle were dispatched to the scene. The fire service was also in attendance. A West Midlands Ambulance Service spokeswoman said: “On arrival at the scene, two occupants from the property were out of the flat. Tuesday 11th February 2014 – 1.30pm – Murray MacGregor. Ambulance bosses are urging the public to ensure there is no heartbreak this Valentine’s Day by learning how to ‘mend’ a broken heart. Last year (2013), West Midlands Ambulance Service was called to over 100,000 heart related cases; that is over 10% of all of the 999 calls we received. Matt Ward is the Trust’s cardiac lead. He said: “The 999 service is here for life threatening emergencies and a cardiac arrest is the most serious type we respond to. We literally have seconds to save your life. “A cardiac arrest is very different to a heart attack. In a cardiac arrest, your heart has stopped beating and there is no oxygen getting to your brain. If you don’t get help almost immediately you will die. “You only have an 80% chance of surviving a cardiac arrest. However, for every minute after your heart stops beating that you DON’T get CPR, (cardio pulmonary resuscitation) your chance of survival drops by 10%. “Based on these figures you can see that getting help quickly is absolutely vital. That is why it is very disheartening that bystanders or member of the public only try and help patients in less than 60% of cases of cardiac arrest. “Learning how to do CPR is very simple and could literally be a life saver. “We would urge people to take a first aid course. You never know when you might need to use the skills you learn, whether it is on a friend, loved one or a complete stranger who collapses in the street. “There are many courses available but you could do a lot worse than to look at taking up one of the Heartstart courses which are supported by the British Heart Foundation (BHF)”. 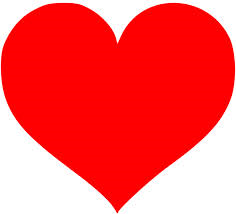 The total number of heart related 999 calls in 2013 was 106,884.